Wow! Amazing location !! Surrounded by more expensive homes, all over 1 million. 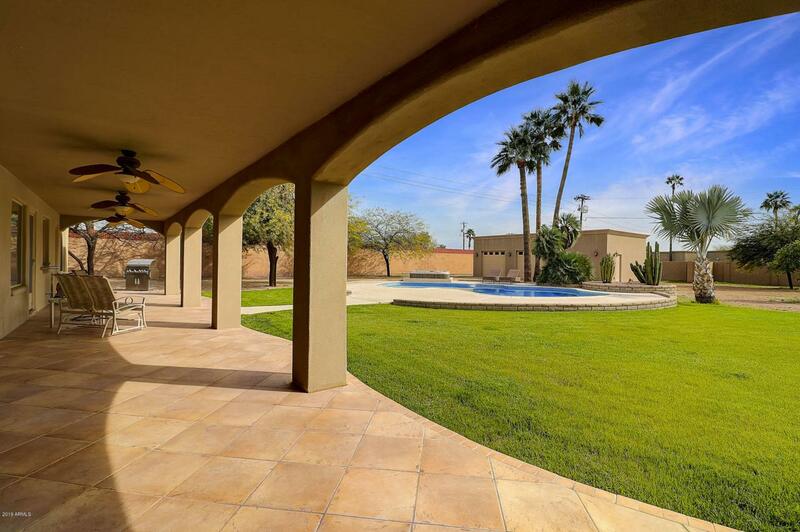 Upscale Scottsdale home with open, split floorpan. Seller maintained this beautiful home to stay forever.Great home for entertaining with excellent flow off of kitchen/family room leading out to massive pool. The separate 2 car garage in the back has its own rec room great for pool table, extra storage or ?? This is adjacent to a large yard ,big enough for another guest house, football field or ??? The possibilities are endless and the best is that it is on a dead end street with little to no traffic. Seller financing available with EZ qualify.